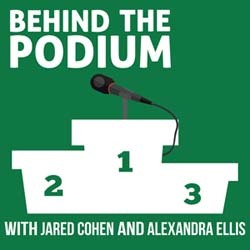 Today, Jared and Alex go behind the podium with Brian Alexander, a coach, Olympic level water polo athlete, graduate from John F. Kennedy University with a master’s in Sports Psychology, father, husband, a fan of The Big Lebowski and avid wrestler when facing off with his four-year-old son. Brian is the official Mental Skills coach for the USA Water Polo Olympic Development Program and has written articles on sport psychology topics that have been featured on the following websites: Water Polo Planet, Bridge Athletic, and Kap7 International. Brian is also an Association for Applied Sport Psychology certified consultant who runs his own private practice located in the San Diego area where he works with individuals interested in enhancing their mental game so they can become more empowered with psychological skills to be a better version of themselves daily and during high-pressure situations. The New One Minute Manager (The One Minute Manager-updated) by Blanchard et al.